London's Metropolitan Police said it was called at around 11:00 a.m. (1100 GMT), dispatching firearms officers and emergency medical workers and evacuating staff as a precaution. Police did not release any further information about the person arrested, but eyewitnesses said it was a male suspect. The Met Police has confirmed that two people were injured during the attack and one person has been arrested. 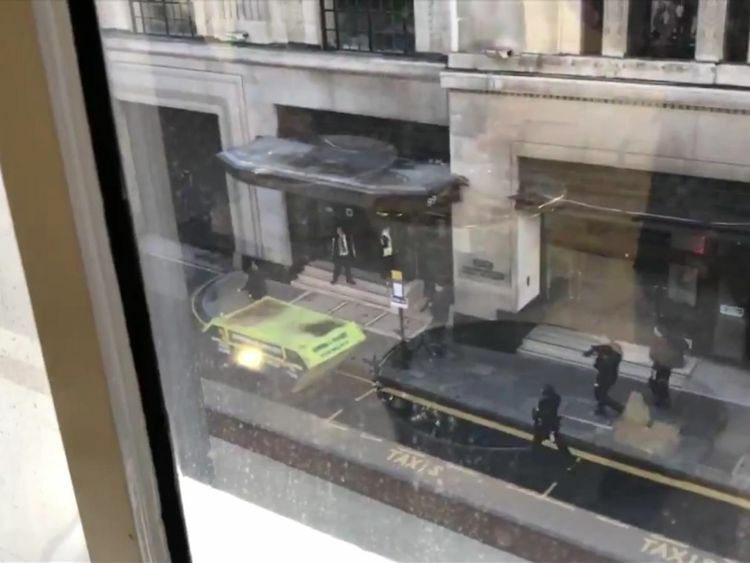 Armed police were seen around the building in the Kensington neighborhood of the city, Sky News reported. The kitchen workers were "running around chasing each other" and "slashing each other up", he said. "We sent an incident response officer, two single responders in cars and two ambulance crews to the scene". Police said the injuries are not life-threatening. 'No evidence of any firearms involved in this incident. Alex Iszatt, who works in a building opposite, said she saw "loads of people" coming out of the Sony building. Journalist Simon Neville, who was outside Sony's offices during the incident, told The Guardian, "Everybody starting pouring out and running towards the square around the back". Police were called at approximately 11am today to reports of an incident. The London Ambulance Service said it took one victim to a hospital and the other to a major trauma centre.